Hello, Nicole Panteleakos! Welcome to Watch. Connect. Read.! I couldn’t put down Planet Earth is Blue. Thank you for telling Nova’s story. What are three things Nova wants everyone to know about her? Nicole Panteleakos: Hello and thank you, Mr. Schu! I think Nova would like first and foremost for people to know that she understands them and wishes that they would try harder to understand her, the way Bridget and the Wests have done. She’s nonverbal, but she has a lot to say… people often just aren’t listening. And, lastly, I think she would like people to know that she does not like pink! As a matter of fact, she hates pink: all shades. But she’s constantly given pink clothes and pink notebooks. 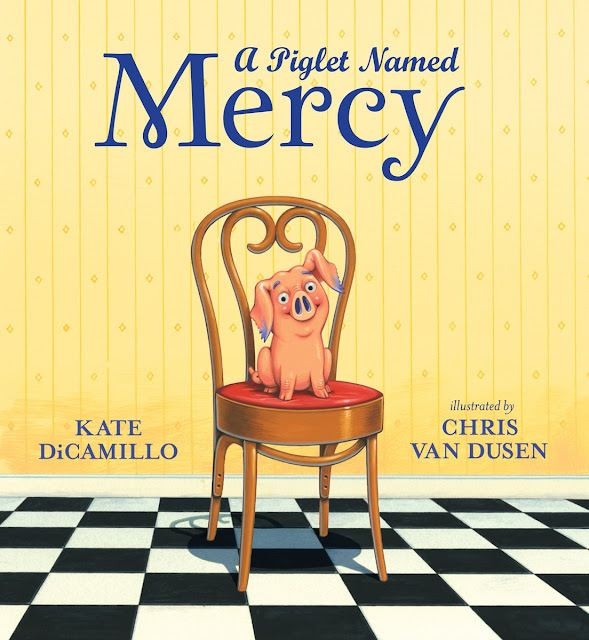 I love the bright pink of her shirt on the cover, since that’s what foster mom Francine would buy for her, but if she had a choice she’d probably prefer a blue shirt. Or green. Or maybe mud brown. Those are her favorite colors. When you were a child, did you love all things space and The Little Prince like Nova does in Planet Earth is Blue? Nicole: I wasn’t super into space as a kid, but I was obsessed (perhaps weirdly) with extreme weather, national tragedies, and the news, so from a very young age I perseverated on the Challenger disaster. In my very first outline for Planet Earth is Blue, I wrote Nova as obsessed with the explosion, but I decided I’d rather have her be an optimist, excited for the launch, instead of focusing on the tragic outcome. 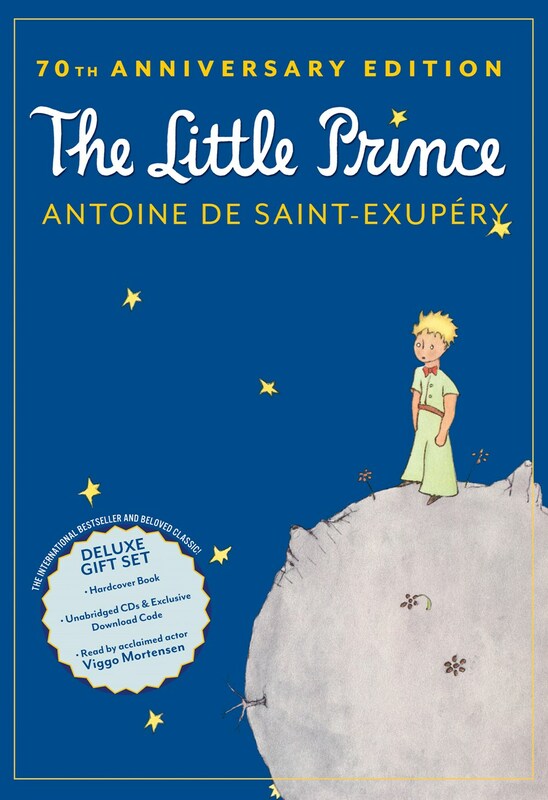 I had many books I loved as a kid, some that I regarded like good friends and great comforts the way Nova does The Little Prince, but I didn’t come across that particular story until Honors French IV my senior year of high school. It was assigned reading and I thought it was just beautiful. I’ve since read it several times in French, but didn’t read it in English for the first time until last year. 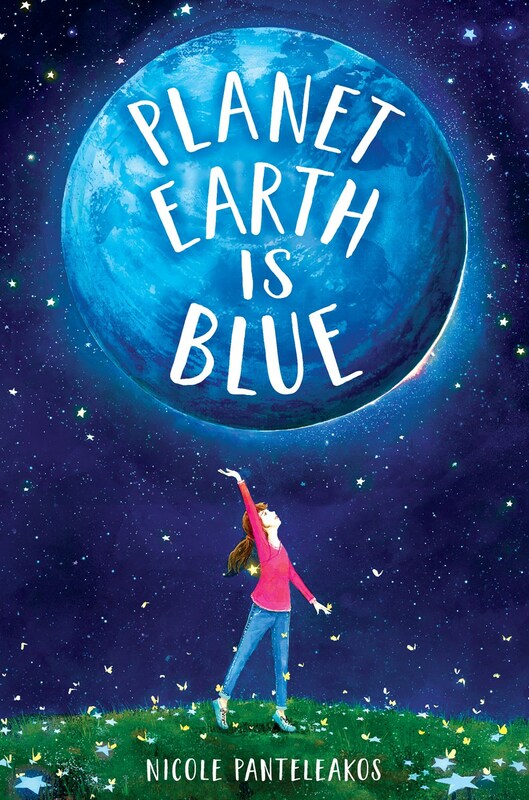 How will you celebrate Planet Earth is Blue’s book birthday on May 14, 2019? I’m not quite sure yet. I’m hoping to be at a bookstore and I’m also hoping to have my goddaughter, her twin brother, and a few other important kids for whom I wrote the book there with me, along with anyone else who’d like to come. Oh, and I hope freeze-dried ‘astronaut’ ice cream will be somehow involved. The mint chocolate chip flavor is my favorite! I'm not the best at making little graphic things, clearly, but I'm beyond thrilled, especially as the review calls Nova "endearingly nuanced" & ends with "Stellar." I'm flying! Nova’s letters to Bridget show the world through Nova’s eyes, as she shares her day-to-day life with the person she loves the most, her big sister. David Bowie was a creative genius! School libraries are invaluable! I spent a ton of time at the one in my elementary school, and one of the people thanked in the Planet Earth is Blue acknowledgements is Mr. Weigel, the wonderful librarian at my intermediate school who helped us kids do research, find new books, and peruse periodicals. I owe a lot to school libraries! Mr. Schu, you should have asked me what it was like to write historical fiction set in the ‘80s! I don’t think of it as all that long ago, but my young cousin read a book that took place around the same time as Planet Earth is Blue, 1986, and asked me, “Can you imagine living back then? !” (Yes… I can.) It was interesting researching things like which Little People figures were available, how many moons scientists had found orbiting Neptune (only three then – now they know there are at least fourteen!) and what the Nickelodeon TV lineup was. By cool coincidence, they really did air an anime version of The Little Prince that January! Look for Planet Earth is Blue on May 14, 2019. Twelve-year-old Nova is eagerly awaiting the launch of the space shuttle Challenger—it’s the first time a teacher is going into space, and kids across America will watch the event on live TV in their classrooms. Nova and her big sister, Bridget, share a love of astronomy and the space program. They planned to watch the launch together. But Bridget has disappeared, and Nova is in a new foster home.